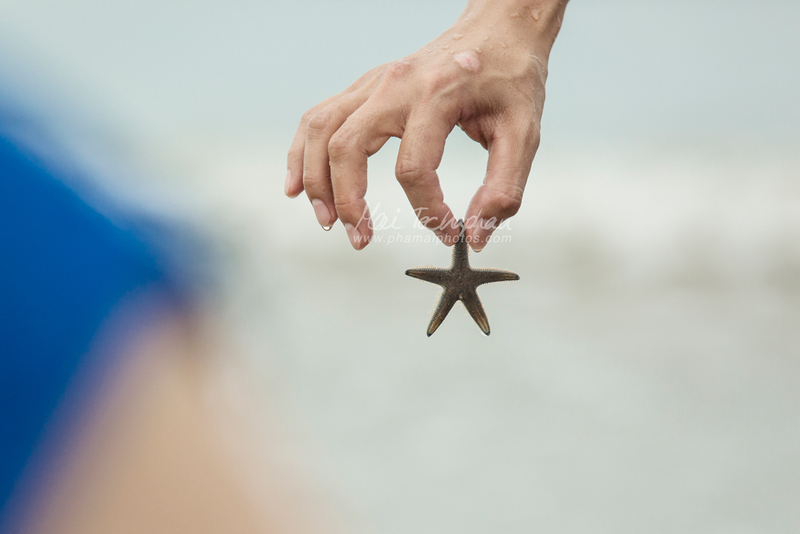 Jessica contacted us for a family photoshoot on the beach. We chose to go to one of our favorite spots, Sai Noi Beach. The beach is not normally busy and that makes it great for photoshoots. Though, it was raining that day, but the rain did not bother us or Jessica and her family. 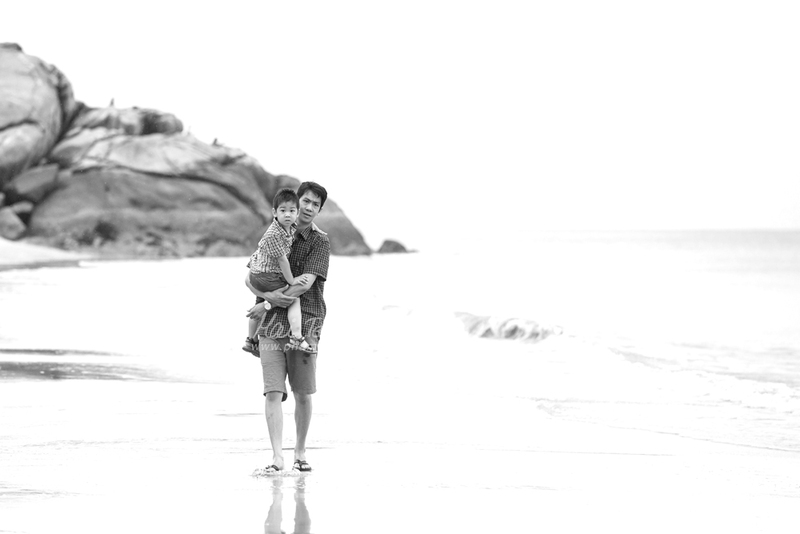 The rain clouds kept the beach in the shade and cool for the whole photoshoot, so the kids were active and cheerful for the entire shoot. Elaine was five and Jayden was almost 3 years old. To get natural and fun photos, we let the parents and the children played together, talked to each other, tell jokes. Jayden loved to kick ball around with his dad. Elaine brought her favorite sand castle toys with her. The children were also very interested and paid attention while the parents explained about things they found on the beach. Jessica and her family were quite happy with the session the result. 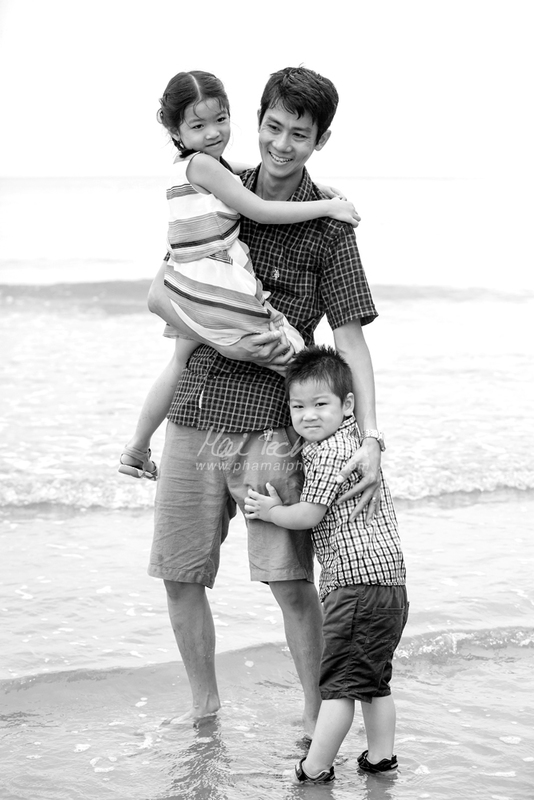 If you are interested in having a similar family photoshoot with us, or are interested in any of our other services, please feel free to contact us, or call us at +66 (0) 81 763 8096.